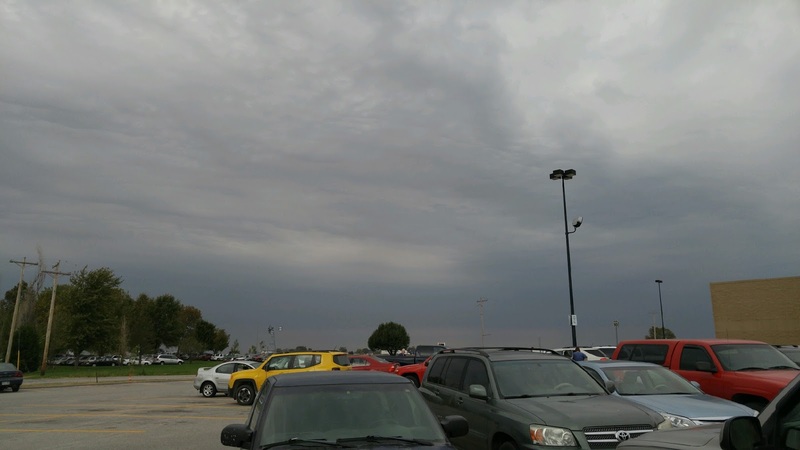 Some dark clouds were moving in when I was getting in my car at Wal Mart. I headed over there to pick a few things up on my lunch break. I wonder if this is the same storm system that is expected to hit Cleveland? Tonight's game time was changed from 7pm to 6pm to hopefully get the game in before bad weather hit. Last night's game did not end the way I would have liked. The Indian's beat the Cubs in the first game of the World Series. Let's hope tonight's game has a different outcome!